3. Interference Monitor from Neighboring channels. 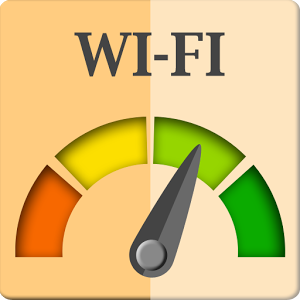 Did you know that the WiFi signal strength increases by a million times (60dB) from low strength to full strength ? The 4 bar default Android WiFi icon is just not good enough to capture this dynamic range. Did you also know that there are very few WiFi channels (3 to 4) available and the likelihood of a neighboring WiFi router interfering with your connection is very high? 1. The Minimal and Graphic widgets have been designed with latest design guidelines and better battery management. The widget updates on tapping or on network connectivity change. These widgets are only available on Android Jellybean 4.1 and higher. 2. If the widget is not available in the list of widgets on first install open the list of widgets and change the orientation of the device. This will refresh the widgets list. Also do not move app to Sdcard. 3. Permissions - The app requires internet permissions for showing the Google ads. 4. The Pro and Free apps(with INAPP unlock) are seperate apps and billed seperately by Google. The Pro App has been unpublished. More on this is in the FAQs on my website. - New Graphic Widgets. Legacy widgets with notifications and auto update being battery inefficient removed.